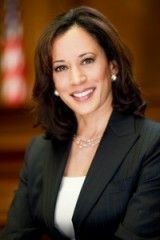 California Attorney General Kamala Harris is among the many Americans of all political persuasions who are outraged that few are taking the fall for the grotesque irresponsibility that led to the housing bubble, its collapse, and the recession of the past six years. She sued quasi-federal mortgage-issuing giants Fannie Mae and Freddie Mac in December over their foreclosures of 12,000 homes in California. Last week, she targeted Standard & Poor’s over the credit-ratings agency’s high marks for many firms involved in the bubble. But Harris, who is half black and half Indian-American, is doing more than a little grandstanding here. Like most politicians and most of the media, she chooses to ignore the coarse racial politics that led both George W. Bush and Bill Clinton to push policies that inevitably inflated the housing bubble. It’s the uncomfortable back story that is usually ignored in favor of the tidy narrative of evil Wall Street and supine regulators. So if affirmative action backfires, the quasi-government agency pursuing affirmative action under pressure from the president faces civil liability? That is from a 2010 report by the California branch of the Center for Responsible Lending. How perverse that from 1997 to 2006, the Center for Irresponsible Lending was at 1600 Pennsylvania Ave. The housing bubble is the result of two HUGE factors, the biggest one was Alan “Mr. Bubble” Greenspan keeping interest rates at ridiculously low rates for 8 years, and the second factor was the complete abandonment of legitimate underwriting standards, where a 15%-25% down payment should have been mandatory, as well as income verifications for at least 3-5 years. 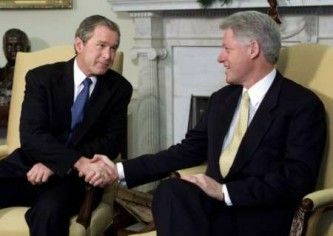 I seem to remember president bush (the second) was concerned about Fanny Mae and Freddie Mac and the financial health of those two semi quasi government bureaucracies being over leveraged but Representative Barney Frank, the Democrat who’s committee controlled Fanny Mae and Freddie Mac, said it was incorrect! Bush has no fig leaf. His choice to run the SEC, former Orange County congressman Chris Cox, had all the regulatory power he needed to block many abuses. He sat on his hand. This was a bipartisan debacle, and Barney Frank was part of it. But Bush really did give a speech with his call to give mortgages to millions of minorities and he really did pressure Fannie Mae and Freddie Mac to comply. 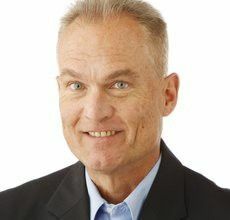 True enough about Cox and Bush, Mr Reed. Though at the end of the day it exposes the astounding hypocrisy of the Left (but then again, what else is new)…..Those who argued for more lenient standards, thinly guised as racial preferences, then when it all blows up, rail against the outcomes rooted in the very same positions they so strongly supported. There’s a lot not to like about Michael Savage, but he nailed it with “Liberalism is a mental disorder”. And as for Ms Harris specifically? I reach for a Bromo. But indigestion is only temporary. Imagine Harris on the Supreme Court. That’s forever. They also ignored proof of BK fraud, credit card fraud, and real estate fraud. So why is this news?? The AG of california with full intent and malice, protected the criminal and ridiculed the victims. 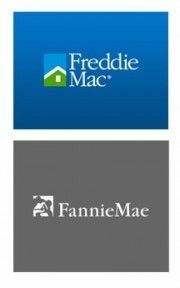 Fannie Mae & Freddie Mac were the victims of the global financial crisis, causing the bankruptcy of many banks and financial institutions. That must be a lesson for all of us and for the future US economists. We’re working on stories on the May Revise of the govenor’s budget and they’ll be up soon.